The Lacoste Crocodile was born from the nickname of the tennis pro, which the press gave him after a teammate had promised him an alligator leather suitcase if Lacoste won the upcoming tennis match. Lacoste lost, the nickname remained a symbol of his fighting spirit and tenacity. 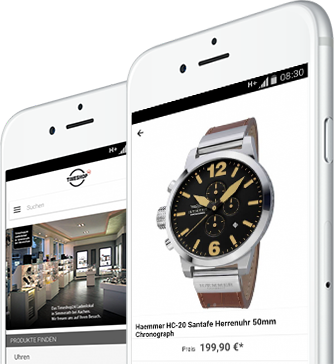 With these qualities he not only had sporting success, he also established a world brand that stands for top quality to this day and is popular with fashion and sports fans alike. 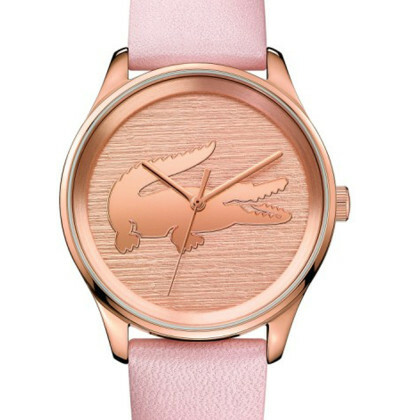 The trendy Lacoste watches for women are elegant, sporty or funky, depending on the model, and stand out for their bright colours, unusual designs and original graphics. 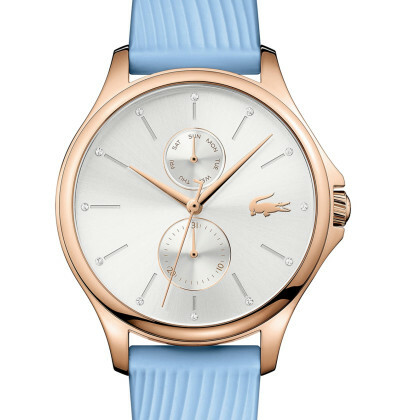 Those who prefer a simple, classic style will also find what they are looking for at Lacoste watches for women. 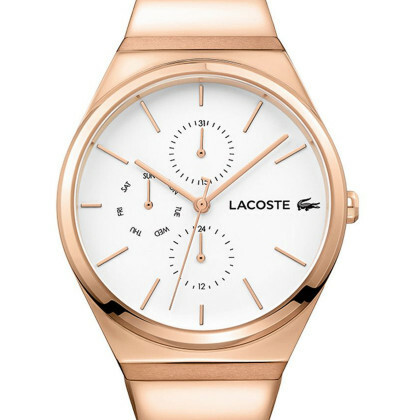 Beware also our Lacoste watches for men!